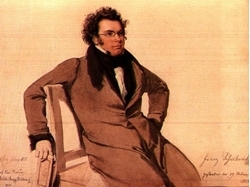 Beatles and Schubert: Musicological Comparisons . Beatles Radio: The Beatles, Solos, Covers, Birthdays, News The Fab 4 and More! I have to quibble with the “modern Schuberts” moniker. As gifted of tunesmiths as Paul, John & co. were, they don’t compare to Schubert or any other classical master. There is an immense gulf in the level of craftsmanship between, say Schubert’s 9th Symphony and Sgt. Pepper (especially as the craft in that album largely came from George Martin). The Beatles main schtick was introducing more diatonic, folk-influenced melodies and harmonies to the largely blues / rockabilly based popular music of the late 50’s & 60’s. But the comparison with classical music is off base. The Beatles are no more the modern Schuberts as Cole Porter is the modern Bach or Burt Bacharach is the modern Beethoven. They are all very talented musicians, but I would look to composers such as Part, Schnittke, Penderecki, post-war Stravinsky or Wuorinen (all either Catholic or Orthodox and significant composers of sacred music by the way) as my candidates for the “modern Schubert”.